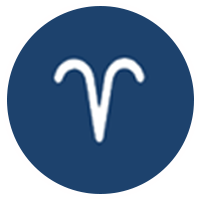 2019/02/12 2019 is prime time for you to take charge of your public image and excel at the work of your choice, Aries! It will need effort, but youre up to the challenge. With the Moon, Mars, Saturn, and Uranus all in Fire signs as your year begins, you have more energy and staying power than most.Springtime may test your patience, as Mars is retrograde from mid-February until the end of February. Polish your techniques and approaches then, and test out new ideas on a small scale.Respect physical limits and dont over-commit in the late summer and early autumn. Resist the urge to sign up for too many events, gatherings, classes, or putting in too much overtime at work. Your health and well-being are just as important as any extra praise or profit you might receive.Look for insights about yourself and your many friends, especially as New Years Eve for 2019 approaches. In many ways, 2019 is magical as well as powerful for you!